Lapacho Extract 4 fl. oz. Lapacho Extract (Pau d' arco) 4 fl. oz. Experienced herbalists consider that both the Tabebuia altisima (purple flowered) and Tabebuia avellanedae (red flowered) varieties should be mixed together for the best possible effects. South American medical doctors proclaim nothing short of miracles for quick relief of pain for cancers of all types as well as their cure within one month in many cases. Once again, South American Indians made known a tree, which they have used for thousands of years to cure their people. The first was the Cinchona tree bark, which yields quinine and cures malaria. Lapacho, taken as a boiled tea three times per day, is reported to be their method. (One heaping teaspoonful of the bark will make one cup of the tea.) The extract is possibly many times stronger if made properly. The chemistry of Lapacho is quite well known to the scientific world. Dr. Frederick Koch, M.D., used substances from the tree bark called quinines during the 1930's in Detroit, Michigan. He reports in this way he was able to provide oxygen for the breath of life to continue for the patient. Lapacho actually has 16 quinones never before discovered together in nature. The jungle Lapacho tree, unlike other trees, is completely immune to fungus infections. 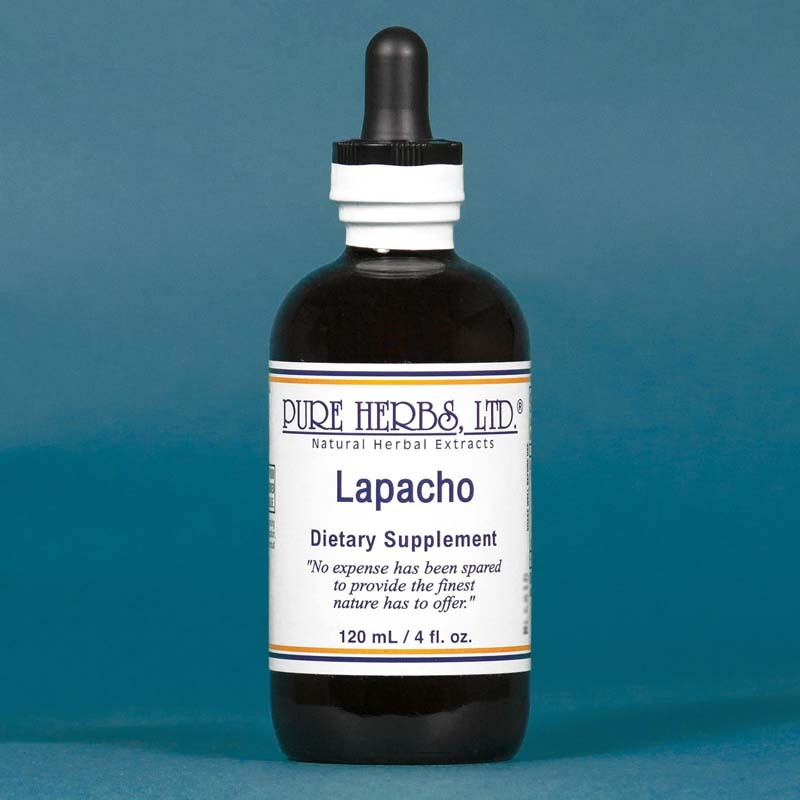 It should not be thought that Lapacho's abilities are confined to bad cells, according to Alec de Montmorency, expert on exotic folk remedies. He has collected medical information during the last 20 years on the use of Lapacho in various South American countries. DOSAGE: South American information indicates 40 to 80 drops of the extract in a cup of water three to four times per day. 20 drops per day as a preventative. SOURCES: Dr. Frederick Koch, M.D., "malignant Neoplasms;" Alec de Montmorency, M.D., Press Release; Dr. Theodoro Meyer, M.D., University of Tucuman, Argentina; Dr. Octaviano Gaiarsa, M.D., Municipal Hospital of Sao Paulo; Dr. Prats Ruiz, M.D., Concepcion, Chili. CURRENTLY UNAVAILABLE P.C.-C 4 fl. oz.